One of my Garment Ghost pieces will be shown in an exciting exhibition during FAB – Fringe Arts Bath 26th May – 10th June. Garment Ghosts are created from badly damaged and irreparable antique clothing, to which I give new life by remaking. My first career was in museums and I am intrigued by our reverence for objects and the power of objects both to fascinate us and to embody stories. I am also interested in exploring how we feel about textiles and how we create stories around them. 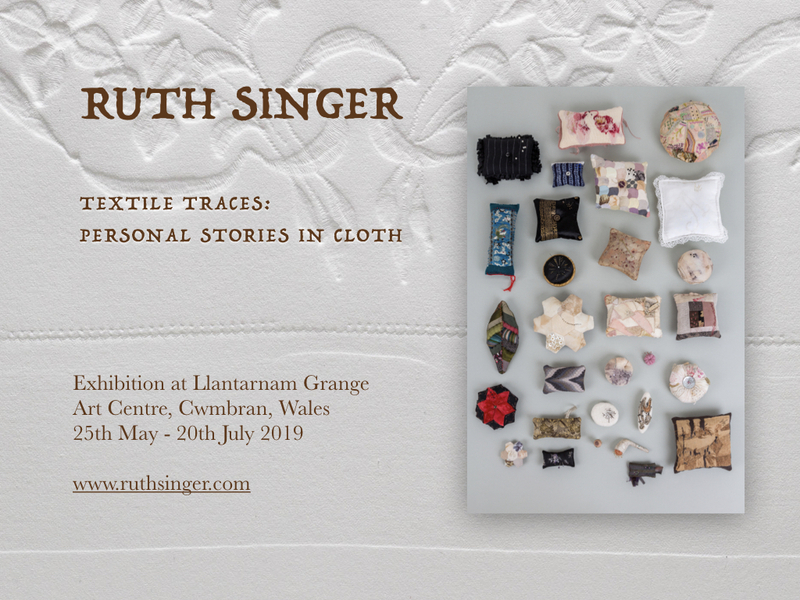 Tying in with my interest in history and museum practice, I am also interested in exploring and challenging established ideas about preserving and displaying art textiles. I find stained, torn, worn and weary old fabrics full of stories. I am continually drawn back to old cloth and how it is loved and preserved or discarded and how my own artistic practice acts as a counterpoint to museum practice. My work with old cloth is a thoughtful and considered interpretation of conservation and preservation. With Garment Ghosts, I unpick clothing and textiles beyond repair and the fragmentary cloth is brought back to life through trapping the disintegrating garment between transparent layers, keeping the outline of the piece but also opening up seam allowances and pleats to take the fabric back to its original form. Garment Ghosts aim to make you think about how we preserve and present textiles and who inhabited the garment in its previous life. This piece is made from parts of a late Victorian beaded bodice – the silk lining and the deep lace cuffs and flounce. The remaining, still intact parts of the garment remain in my studio, awaiting another life.